Thank you for following this live update on VAVEL! Once again, I am Don Han, and it was a nice time bringing you live updates from this thrilling women's singles final! Hope to see you soon! Nonetheless, it has been a terrific tournament from Serena Williams as well! Her hard work definitely doesn't deserve to be overshadowed by this particular incident alone, but her comeback is an inspiration so many people around the world. That was such a cool and composed performance from Osaka, who comfortably served out the match and closing it out with an unreturnable serve. That was particularly impressive considering it's the 20-year-old's first Major final and she managed to beat the legendary Serena Williams in straight sets. 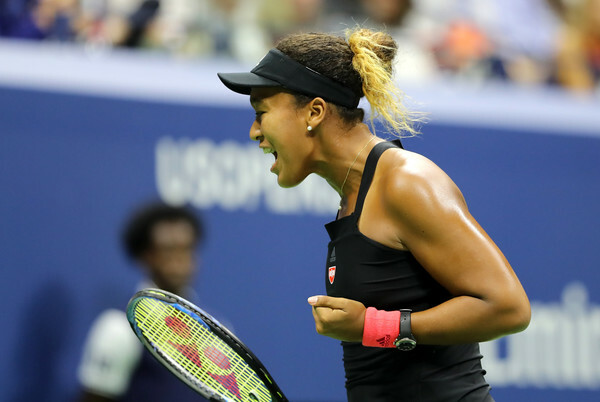 In a match full of tension, Naomi Osaka held her nerves and closes out a terrific 6-2, 6-4 win over Serena Williams for the biggest title of her career. She is projected to rise to seventh in the rankings, and #4 in the Porsche Race to Singapore leaderboard! She has done it! Osaka has defeated her childhood idol Serena Williams for her maiden Grand Slam title! Williams saves the first match point with a backhand winner but the Japanese closes it out with an unreturnable serve! Quick service hold as Williams looks to hold back the tears after all the heated discussion. Osaka will serve for the title now. Game penalty for Serena after Carlos Ramos issues a third code violation. The American will serve to stay in the match now. This is such a good level from Osaka! She fires consecutive winners and comes out of nowhere to take the lead! The Japanese leads by a break. Williams certainly looks affected by the point penalty as Osaka puts in a quick service hold to level the scores at 3-3. 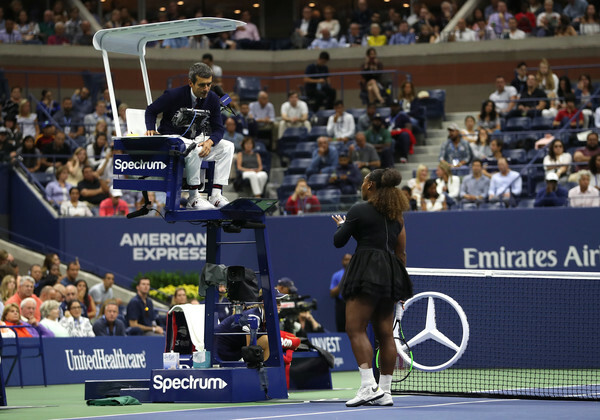 There's a mild argument between Serena and umpire Carlos Ramos about the coaching violation which happened in the second game. Crowd booes but Serena stops them for play to continue. At 30-15 up, everything seemed to be going right for Williams with her first serves coming in like a bullet. However, consecutive double-faults (first of the second set) saw her conceding a break point opportunity to Osaka. Yet another error sees Osaka grabbing the break back immediately within a blink of an eye. And there goes the racquet of Serena, who receives a code violation for racquet abuse. That is Serena's second code violation of the match (after the coaching violation), and it's a point penalty. Osaka starts the following game at 15-0 up. 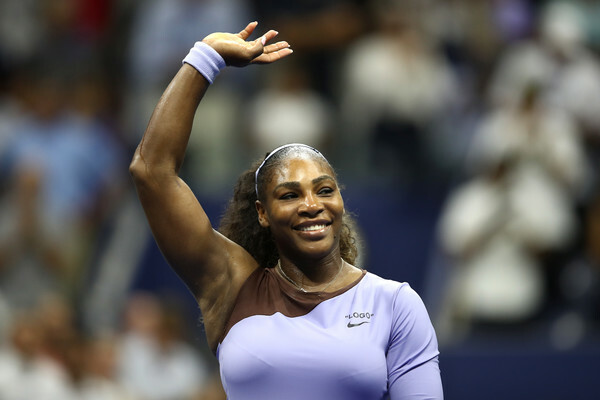 After what seemed like an eternity, Serena Williams finally grabs the break! A rare unforced error by Osaka saw her streak of saving 21 consecutive break points come to an end, and the American takes the lead in the second set. Another ace, to save another break point! Great composure from the youngster! In a marathon 19-shot baseline rally, Osaka had the upper hand throughout the rally and ultimately fires a forehand down-the-line winner to save a break point! Crafty sliced ace from Osaka to save herself from the brink and wins the crucial 0-30 point. She follows it up with another powerful forehand winner. Those were her first winners of the second set! That was an absurd return winner from Williams, just too good! The angle was it caught Osaka off-guard, and as previously mentioned, that previous game was the pivotal moment which shifted the momentum. This could well be the change in momentum! Williams holds after saving a break point, and is getting more fired up in the second set! Osaka is starting to miss several balls as well. Outstanding drop shot winner out of nowhere from Williams! That came all of a sudden and not only startled Osaka, but also the fans! What a way to fend off a break point at such an important moment! Williams manages to overpower Osaka and holds her nerves to impressively save the break point with some world-class aggressive play. Good hold from Osaka who remains composed after the tricky start to the match. She rides on her momentum and strolls through another routine service hold. Williams receives a code violation for coaching. She is furious with the call and tells the umpire Carlos Ramos that she will never cheat. “I don’t cheat to win, I’d rather lose. Just letting you know." Good service hold from Williams, who absolutely needs the confidence and rhythm now. Great rebound from the disappointing first set, making 4/5 of her first serves. STAT WATCH: Osaka is 31-0 after winning the first set in 2018. Can she make it 32? That first serve percentage making a huge difference thus far. Will Osaka hold on for a maiden Major title? Or will Williams fight back for her 24th Grand Slam title? The second set is starting now, and we will find out soon! That was so good from the Japanese. Frequent "Come on"s could be heard from the usually-reserved youngster, but she is stepping up to the occasion currently. Way too many unforced errors from Williams, who is serving at 38% today. That was a confidence-boosting hold for Williams! She overcomes a double-fault which gave her opponent a 0-30 lead, recovering to rattle off four consecutive points. She ends the rout of losing five consecutive games after winning the opening game. STAT WATCH: Williams up to 13 unforced errors for the match, hitting four double-faults in the process. This is outrageously good from Osaka! She saves multiple break points and consolidates her second break, putting herself just one game away from claiming the opening set! Extremely positive body attitude certainly helps! Williams' first break point of the match is quickly erased by a bullet-like 117 mph ace by Osaka! The roar from Williams is here! Could it be the sign of a momentum shift? STUNNER! What a running and passing forehand winner from Osaka to pass Williams at the net! Can you believe it? After just 20 minutes, Osaka leads Williams by a double-break advantage! A double-fault at 30-30 proves to be costly and Williams gets broken for the second consecutive time. It seems like the tactics for the youngster are working well, with Williams' backhands often breaking down. Reminder: Osaka's coach Sascha Bajin is Williams' previous hitting partner! Some out-of-the-world shots from Osaka in this final! The Japanese is firing on all cylinders and just cannot miss from the baseline as she fires an ace to consolidate the break. 2016 US Open: Osaka misses a 5-1 lead in the final set against Madison Keys. 2017 US Open: Osaka loses in the third round to qualifier Kaia Kanepi due to the amount of pressure she puts on herself. Nerves don't seem to be affecting her today, though. Perfectly shows her growth and maturity as a player. Surprise, surprise! The first breakthrough goes the way of the youngster despite Williams' confident start! On break point, she throws in her second double-fault of the afternoon, gifting Osaka with the early lead! Good rally! Osaka mistimes her footwork after Williams retrieves a powerful backhand, but rebounds in time to force an error from the American ultimately. That's an assertive service hold from Osaka as well. Comes from 0-30 down to hold serve, putting in some solid baseline work to fend off the challenge from Williams. That is a great start from the six-time champion! 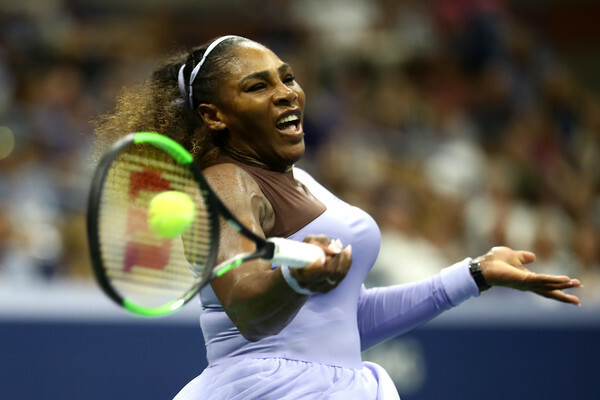 Williams owns a 38% first-serve percentage currently but looks flawless on her first-serve points as she fires five winners in the opening game to hold serve. After failing to find her first serves, Williams finds a perfect forehand down-the-line winner before slamming down a 115 mph ace. Nice baseline rally to get the match started! Good quality on the groundstrokes but Williams ultimately sends a backhand long. Osaka wins the first point of the final. Serena Williams won the coin toss and elected to serve to start the match. The players are introduced onto the court now! The Arthur Ashe Stadium looks packed and roars when Williams, the home favourite, walks onto the court. What a wild ride it has been. The moment when Kanepi knocked out #1 Halep in the first match of the tournament was just yesterday, and now within a blink of an eye, we are just down to two players in the draw. 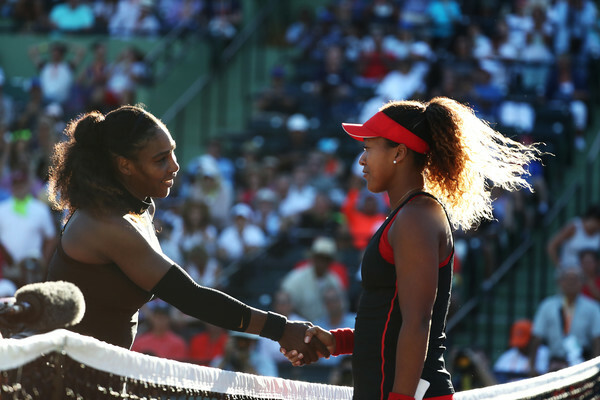 Serena vs Naomi, they are taking the court in just a few moments! ICYMI: Bethanie Mattek-Sands and Jamie Murray claimed the mixed doubles title earlier during the day, coming from a set down to prevail 2-6, 6-3, [11-9]. This is Murray's sixth mixed doubles Grand Slam title while it is Mattek-Sands' first title of any kind since her horrific injury at Wimbledon last year. MATCH PREDICTION: Serena Williams in straight sets. 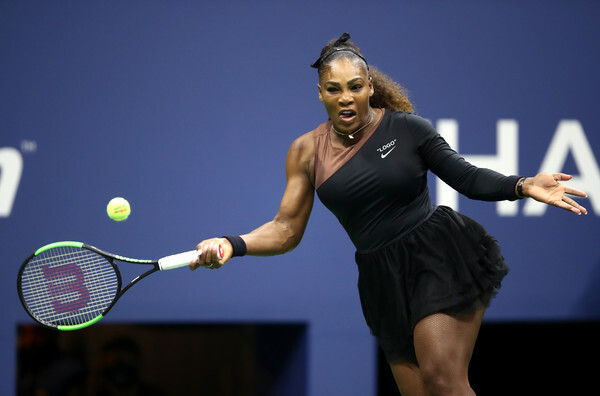 Experience might just prevail over youth as the American will look to storm towards her 24th Grand Slam title with a straightforward victory. Osaka is able to trouble anyone if she's having her day, so the upset alert is definitely still turned on! 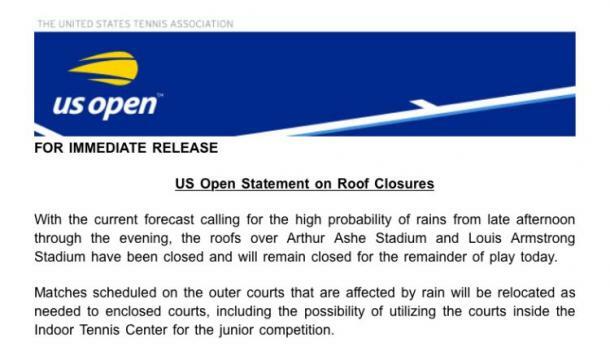 UPDATE: The roof will be closed for the final! "Even when I was a little kid, I always dreamed that I would play Serena in a final of a Grand Slam. Just the fact that it's happening, I'm very happy about it. At the same time I feel like even though I should enjoy this moment, I should still think of it as another match. Yeah, I shouldn't really think of her as, like, my idol. I should just try to play her as an opponent." The pair had met once this year, with their sole encounter coming in a blockbuster opening-round match at the Miami Open. 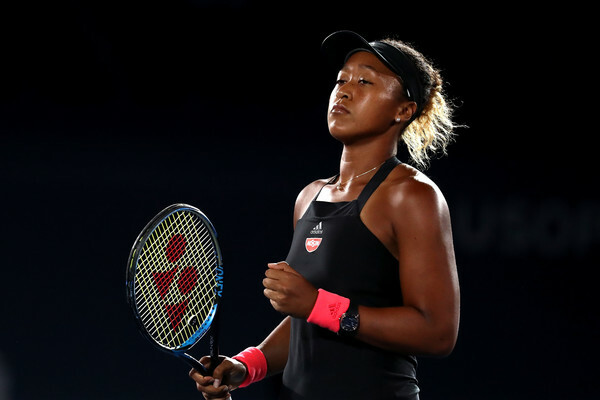 Just when Osaka was in form and coming off a title run in Indian Wells, she managed to overpower a slow-moving and poor-performing Williams, whose game looked all over the place in that match. However, this will be a completely different match-up as compared to that match, with Williams’ level of play experiencing a significant improvement since then. After this tournament, Osaka is projected to rise into the top-15 for the first time in her career, peaking at the 11th spot. However, by winning the title, she will make her top-10 debut, going as high as the seventh spot. The youngster now has the huge chance to make her debut at the WTA Finals in Singapore, and by being ranked seventh in the Porsche Race to Singapore leaderboard, she can secure herself a substantial lead with the victory, which will place her fourth in the rankings. Consecutive Major finals now send Williams back into the top-20 for the first time since last year. She currently finds herself lingering in the 16th position but a 24th Major title would send her to the 11th spot, just an inch away from a return to the top-10. Nonetheless, this will have a huge impact on the Porsche Race to Singapore leaderboard, since Williams is now 11th in the live rankings but could rise as high as seventh if she were to claim the title. This is a highly-anticipated encounter considering how well both players have performed throughout the tournament, with neither of them looking to let loose. 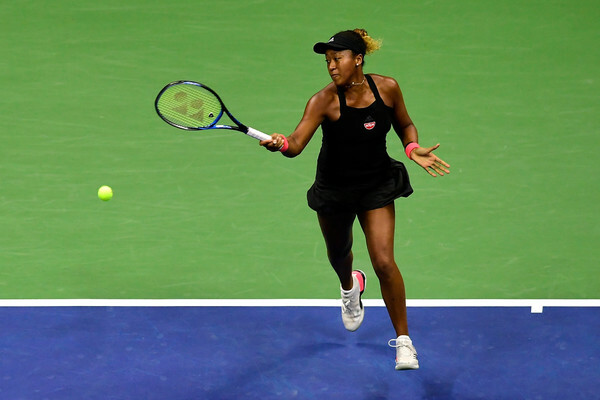 Osaka, who was easily affected by nerves in the past, managed to keep her composure well, while Williams’ footwork and baseline game started to function at its best once more. Hence, this match will be extremely hard to call, but the serve will be crucial for both players as it is the main weapons of their games. Osaka managed to come up with 27 aces of her own, but she has been playing with much more patience and control throughout the tournament, showcasing her maturity and an improved game as compared to the past. Her powerful first serves were too good for her opponents, with the Japanese winning 72 percent of points behind those serves. Williams leads the field in the number of aces served, having sent in 64 of those in six matches. The most powerful serve by a woman recorded in this tournament was also served by the American, being recorded at 121 mph. The 23-time Grand Slam champion had also impressively defended 78 percent of her first-serve points. Williams is gradually returning to her best level, and by reaching consecutive Major finals, she has truly proven that she is back. 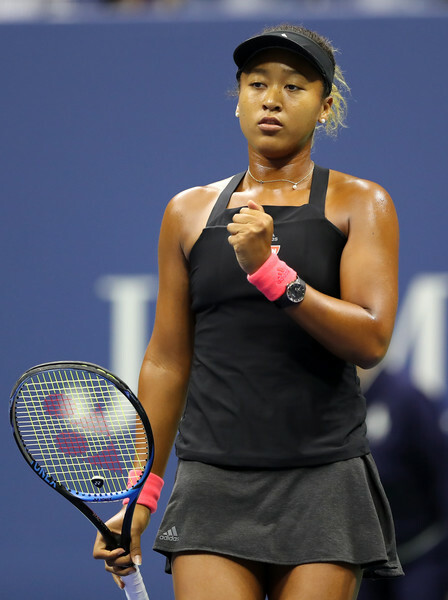 Osaka conveniently took advantage of her favourable draw and stormed to her first second-week appearance at a Major with straight-set wins in her first matches, earning two of those wins under 50 minutes as she sent down her first career professional double-bagel victory over Aliaksandra Sasnovich. Her toughest test in this tournament came against fellow rising star Aryna Sabalenka in the battle of future starlets, coming down from a break in the deciding set to triumph ultimately. 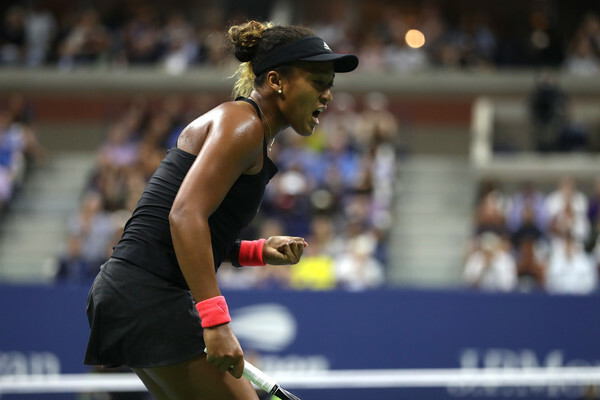 Saving all 13 break points she faced, Osaka claimed another good win over 14th seed and last year’s finalist Madison Keys under the lights of Arthur Ashe Stadium to seal her spot in the final. It is a particularly impressive campaign from Williams, who clearly look at her vintage level currently. She lost just one set throughout the past fortnight and the longest she has spent on the court was just 97 minutes. 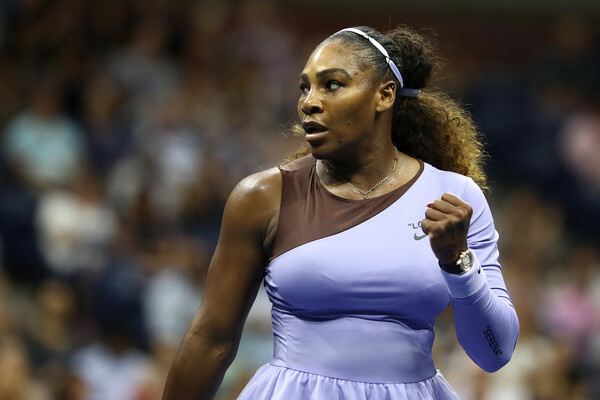 She did not have to break a sweat in her excellent wins over Venus Williams and Anastasija Sevastova while exacting revenge over Karolina Pliskova in the quarterfinals, recovering from an early deficit to complete the win. However, her toughest opponent this week came against defending quarterfinalist Kaia Kanepi, so far the only player who is able to take a set off the former champion here in New York. Naomi Osaka first broke into the top-20 this year with an excellent run to her maiden career title at the BNP Paribas Open. This was the first-ever title for the Japanese in her career, even when ITF tournaments are taken into consideration. She defeated Maria Sharapova, Agnieszka Radwanska, Karolina Pliskova, Simona Halep, and Daria Kasatkina en route to what could be considered the best title run of 2018. 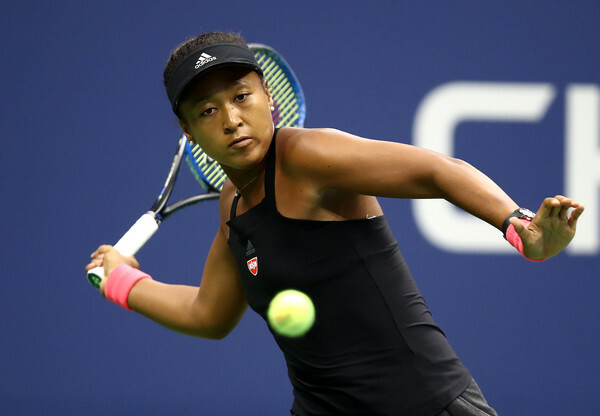 Running low in confidence in the past few months, Osaka entered the US Open after a string of poor losses and early exits; falling to Magda Linette, Carla Suarez Navarro and Maria Sakkari in her warm-up tournaments. Little would anyone have expected that the 20-year-old would be stringing together such an incredible run to the final here in Flushing Meadows. Serena Williams, with this being just her sixth event since her return from pregnancy, returns to the biggest stages of tennis once more. The American, fighting for her life during this period last year, is due to compete in her second Grand Slam final of the year and pursuing to break records again. 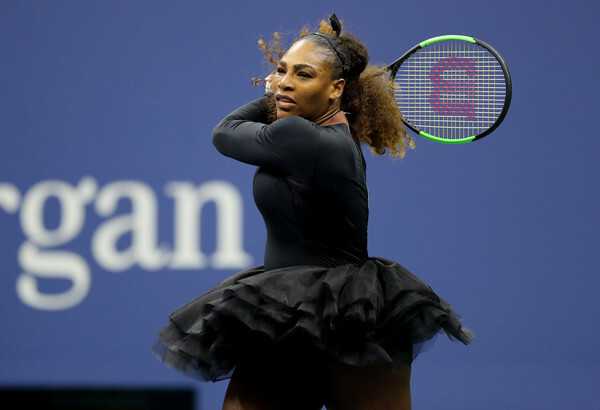 She came into the US Open having reached the final of Wimbledon, where she fell 3-6, 3-6 to an inspired Angelique Kerber while being stunned 1-6, 0-6 in the opening round of the Mubadala Silicon Valley Classic by Johanna Konta. Nonetheless, the American had proven her title credentials and came into the tournament as one of the heavy favourites. History is set to be made in Flushing Meadows on Saturday afternoon. 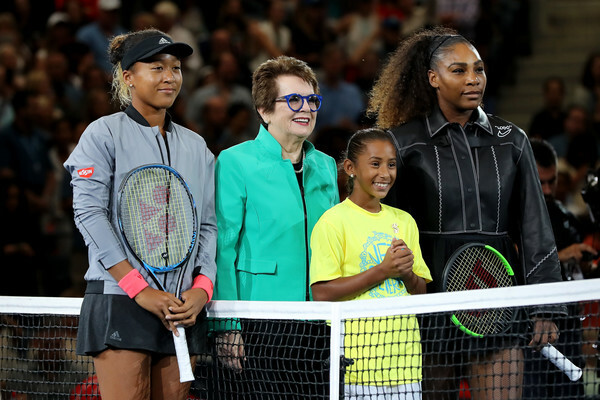 Williams will go for her record-breaking 24th Major title, which will tie her with Margaret Court in the all-time record books, while Osaka is already the first Japanese to reach a Grand Slam singles final. However, she will look to go one step further, looking to spoil the odds and claim her maiden Major title in what is a career-breakthrough year for the youngster. 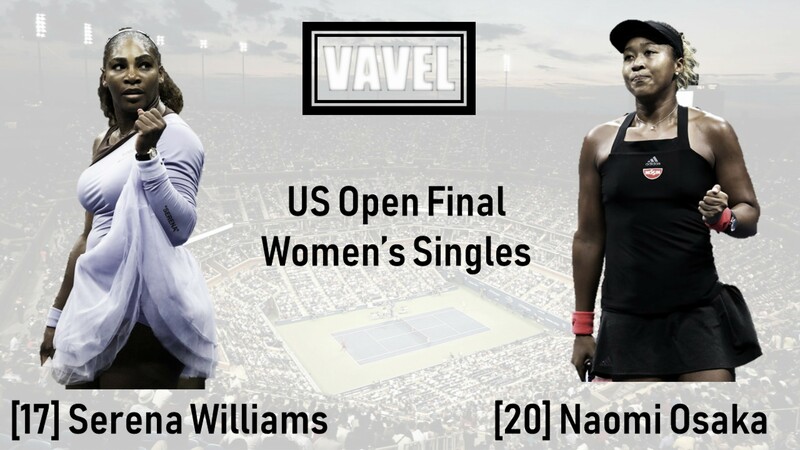 Welcome to the live coverage of the 2018 US Open championship match between 23-time Grand Slam champion Serena Williams and major final-debutant Naomi Osaka! My name is Don Han, and I am happy to be bringing you game-by-game coverage of this encounter here on VAVEL. From now until the match begins at 4 pm ET, news and notes will be above to get you up to speed. Be sure to return at match time for game-by-game updates!